this is because sugars will always turn brown if you heat them – remember how caramel is made? Whey is a yellowish liquid remaining after the production of cheese or the removal of fat and casein from milk . It contains vitamins (B group, panthenol, biotin and vitamin C), proteins, minerals… but mainly lactose (milk sugar). So we are better to cold process our soap when using whey. Also, to keep the soap as white as possible, we need to keep all the temperatures rather low. Soap containing whey will have a nice creamy lather and be very very soothing – as to my and Monica’s experience. Freeze the whey to cubes – mainly if you wish to have the soap as white as possible. Slowly pour your NaOH to whey cubes. It will be very slow, but will keep the temperature low. Remember, if it heats up, it will turn yellow. 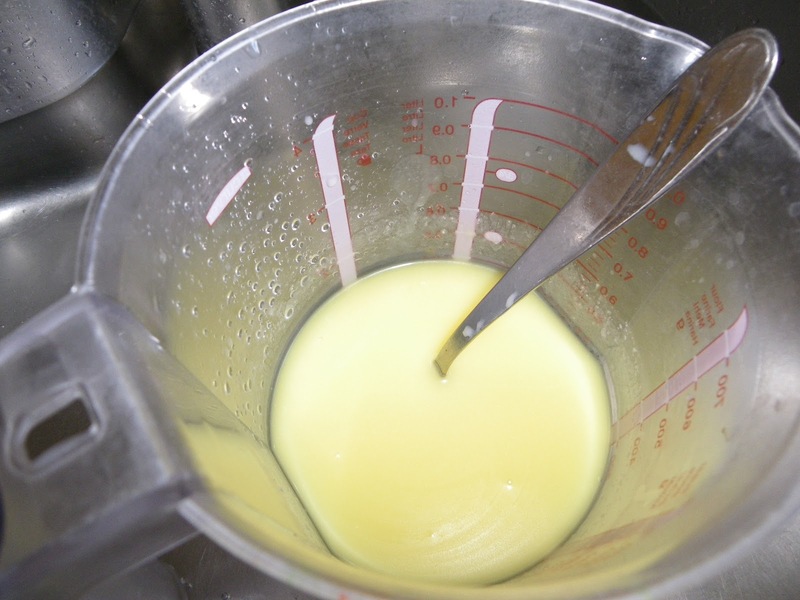 Stir very well – the fats in whey will turn into soap, the solution will get thicker and you cannot see if the NaOH dissolved or not. As you stir, the protein hydrolysis can produce ammoniac smell , so don’t panic, it’s normal. Pour the lye/whey solution to oils while stirring. Probably you will reach the trace quickly, but do not stop stirring, just to be sure. At thick trace add the ground oatmeal and honey. Finally add your fragrance oils. Pour your soap into mold. You want to keep it at low temperature so that it does not overheat, therefore use either individual molds or a wide and shallow mold. Sprinkle with whole oatmeal. You can put it in the fridge. My soap just after pouring. 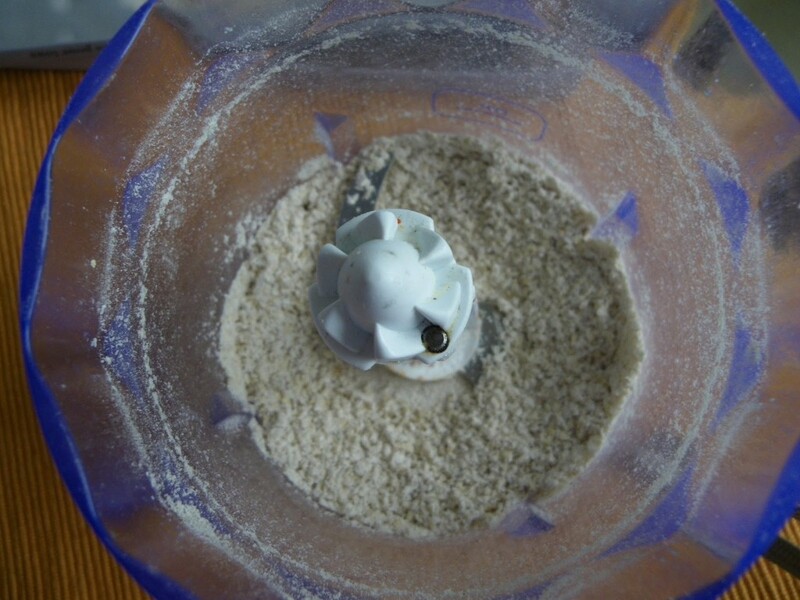 Note the colour – I was impatient so I mixed the lye pretty fast with whey. This is CP soap that passed gel phase. Imagine what HP would do! I did not put my soap in the fridge and it passed the gel phase. There was some liquid separated, which partly soaked in. I cut it after 24 hours, although it was still a bit too soft. Now this is the best bit – I made this soap two years ago (I always keep one soap) and it is still without a trace of oxidation! Lecturer’s Handbook on whey and whey products. 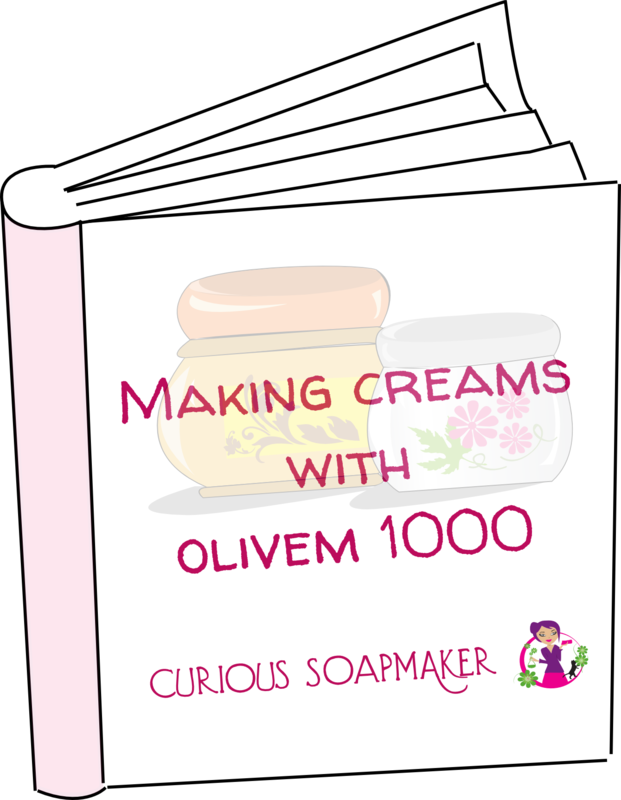 This entry was posted by evik on March 21, 2014 at 22:30, and is filed under soap recipes, soapmaking. Follow any responses to this post through RSS 2.0.You can leave a response or trackback from your own site. Thank you for this informative post, evik. I used to have a lot of whey from making yogurt cheese, but I no longer make that now. It’s good to know though that whey can be used in soap. I have a different question that I hope you may be able to answer. 🙂 In soap, is there a difference between using regular coconut oil vs extra virgin coconut oil, or pomace olive oil vs extra virgin olive oil? Some say the more expensive virgin oils feel better on the skin. Don’t they have the same fatty acids? For example, would the extra virgin coconut oil be less drying, and more nourishing than the regular coconut oil? Hi Silvia! Funny, I have an almost finished post on different types of coconut oil (not only) in soapmaking :). Both refined and non-refined have the same type of fatty acids, but refined don’t have free fatty acids, which can cause faster trace. On the other hand, refined can have less vitamins, phenolic compounds, or other goodies – that is why they feel better on the skin. What survives of these in soap is a question. I know that phytosterols do, and I have read these are still left in the refined oil, as well as phenolic compounds (depends on oil type I think). I use refined coconut oil, canola and sunflower, mainly because of their price. Also the original scent of coconut oil does not remain in soap. I use cocoa butter for chocolate makers with nice cocoa butter scent, which remains also in soap to some extent. I also use unrefined shea butter which I love to buy in larger quantities, as I love it in all my formulations. Also it scents the soap. I try to buy organic palm oil – if any – for ecological reasons. For all the other oils, I just use what I have at hand – sometimes cosmetics grade, sometimes unrefined. You are so kind Evik and I thank you very much for posting this recipe . 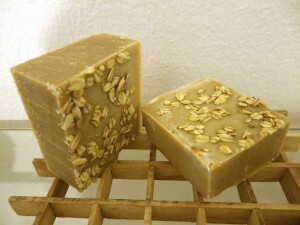 As soon as my batch of soap will come to an end I will make the recipes posted by you. Although I am a fan of hot process soap making I willingly make this recipe now as I find from you how wrong is to bring milk products and sugars at temperatures higher than 40 degrees. 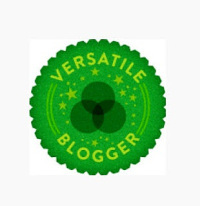 Once again thank you and I will follow with interest your blog in the future. Could you use the whey from draining yogurt to make yogurt cheese? Otherwise where would one get whey? Hi Sean, the problem is you did not stir long enough. If water (whey) is too cold, then it takes much much longer for sodium hydroxide to dissolve. Next time you may froze it less, or just stir longer. If I may (I’m revisiting this now with a bit more experience) I use a silicone spatula when mixing lye into frozen cubes of anything. I put the small amount (always add in small amounts) of lye along the bottom of the container, then smear the lye crystals around via the back of the silicone blade. Slowly the lye will melt. Even when there’s lots of melted liquids, I am still always feeling for those crystals and smearing them along the bowl to mix in. So far so good, I feel no graininess after blending in the lye. Hi Ann, that is a very good idea, thanks for sharing!! Hi can I use water instead of whey? Or even almond milk? Hi there. Can you please tell me how much soap this makes and if this recipe doubles well? Thanks so much! 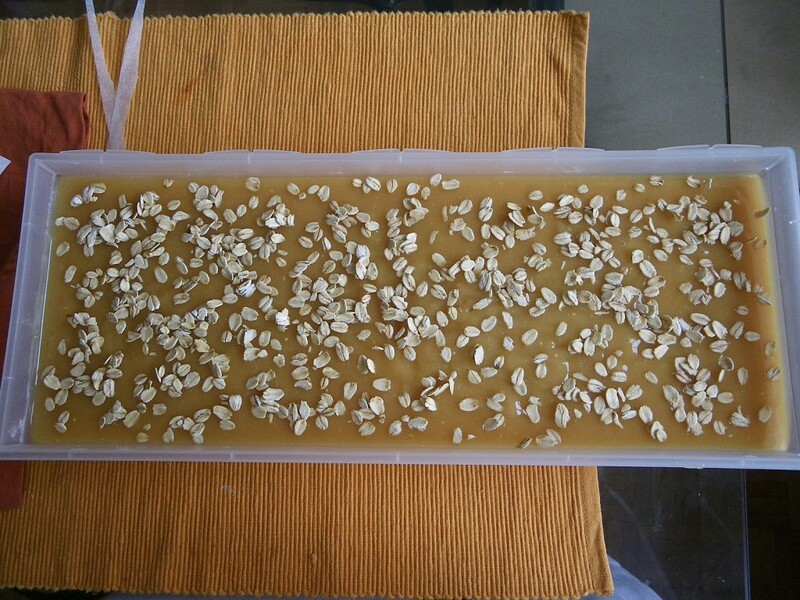 Hi Kristress, the soap is about 1.3 kg, you can double it without problems, just make sure it does not overheat (it contains honey and whey, which do accelerate the saponification). I recommend slab mold and do not put close to heat source to prevent separation of glycerin due to excessive heat and separation of soap in mould. What can you use of you don’t have whey? 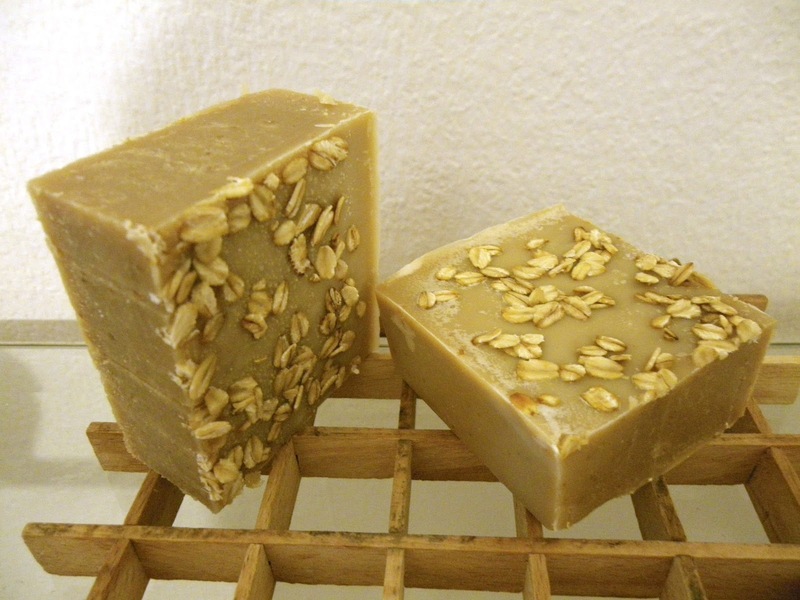 I just recently made a batch of whey and molasses soap. I added the whey at trace, so it didn’t didn’t turn yellow/brown. But then I added the molasses so I don’t know if the color was effected at all. It did go through gel phase and I didn’t freeze it. Took about an hour or so to completely gel. It turned out nice and shiny and pretty hard within 24 hours! Some small areas seem to be lacking color in the soap. I suppose that could be some separation, but over all it turned out very nicely! Hi Simplycleansing, thanks for sharing your experience. How much whey you added at trace? I guess the melasse might have not been well enough mixed in if the colour is different, but separation due to gel phase is also probable. Have you tried water kefir and if – what happend? Hi Lis, I did not, what is water kefir?